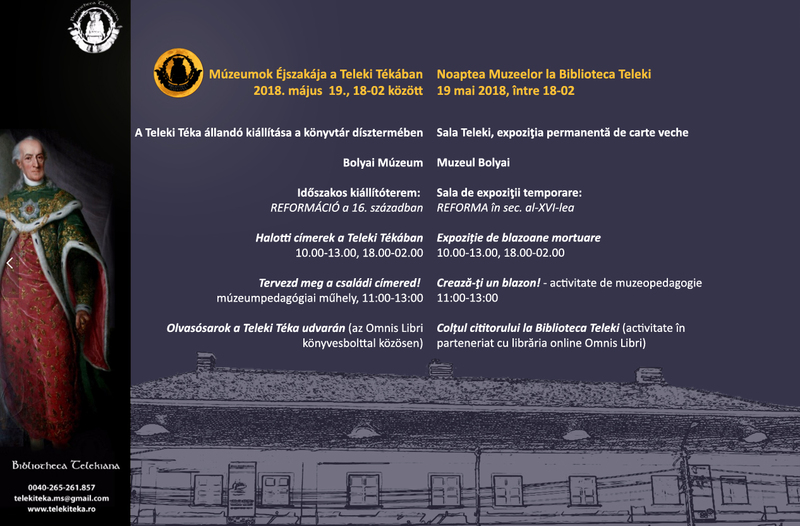 Besides offering the services connected with the reading room and the exhibitions, the Teleki-Bolyai Library organises other activities and events with which it participates in the scientific and cultural life of the community. 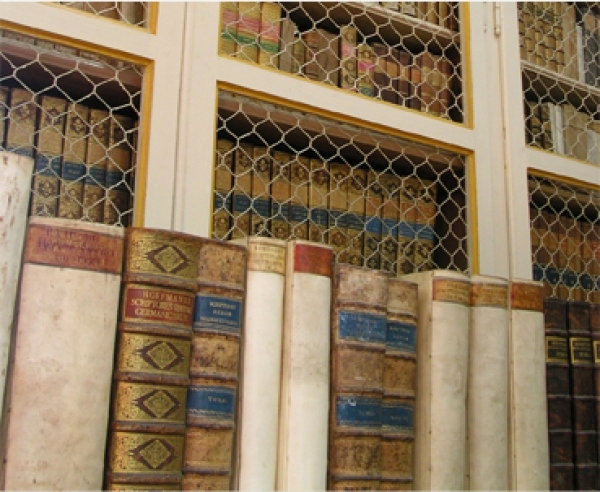 As research centre the library hosts conferences and discussions regarding cultural history or the history of books, inviting both renowned and young professionals from Hungary and Transylvania. The objective of the temporary exhibitions, book launchings, lectures, and the Talking Books series is to offer a wide range of knowledge to the general public regarding various cultural and historic topics. Our Library also participates in the wider Long Night of Museums programme for several years now and in the local Forgatag (Whirlwind) festival, offering screenings, small concerts, contests, book fairs and by the longer opening hours a new kind of museum experience. Since 2008 the library also organizes museum pedagogy courses, once a month children can acquaint themselves with the secrets of how a book is made, these activities are held at our restoration workshop or sometimes at other locations as well. 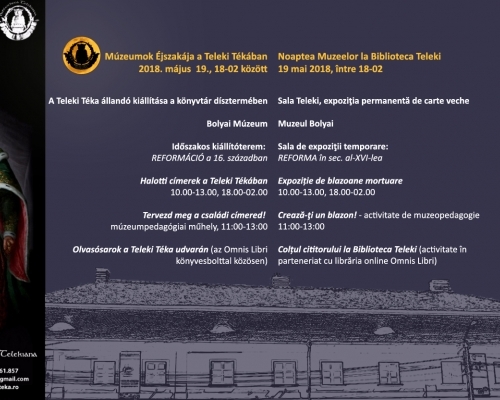 This practical activity is complemented with theoretical activities as well, during which children can learn about the Teleki Library and its collections; this activity is mostly held during a special school week in April, when several groups of pupils per day visit the Library.